The Infinite light is refracted, as it were, through these colored lenses of the sefirot. Here is Cordovero on this subject, from Pardes Rimmonim. In the beginning, Ein Sof emanated ten sefirot, which are of its essence, united with it. It and they are entirely one. There is no change or division in the emanator that would justify saying it is divided into parts in these various sefirot. Division and change do not apply to it, only to the external sefirot.To help you conceive this, imagine water flowing through vessels of different colors: white, red, green and so forth. As the water spreads through those vessels, it appears to change into the colors of the vessels, although the water is devoid of all color. The change in color does not affect the water itself, just our perception of the water. So it is with the sefirot. They are vessels, known, for example, as Hesed, Gevurah and Tiferet, each colored according to its function, white, red, and green, respectively, while the light of the emanator — their essence — is in the water, having no color at all. This essence does not change; it only appears to change as it flows through the vessels. Better yet, imagine a ray of sunlight shining through a stained-glass window of ten different colors. The sunlight possesses no color at all but appears to change hue as it passes through the different colors of glass. Colored light radiates through the window. The light has not essentially changed, though so it seems to the viewer. Just so with the sefirot. The light that clothes itself in the vessels of the sefirot is the essence, like the ray of sunlight. That essence does not change color at all, neither judgment nor compassion, neither right nor left. Yet by emanating through the sefirot — the variegated stained glass — judgment or compassion prevails. There are two basic points I would also like to emphasize in this model. First is that, ultimately, the sefirotic view of the universe is quite similar to those perspectives which maintain there is no real separation between the apparently-real objects in the universe. What are you, really? An assemblage of carbon, hydrogen, and other molecules, bound together by laws of physics — but then, those molecules are really made up of atoms, which are really made up of… what? Superstrings? Emptiness bound together by natural law? In a fascinating way, the notion that we are all energy — “Light” if you like — organized by principles of Divine wisdom is closest to what our contemporary scientists are saying than conventional atomic physics. Of course (contrary to the claims of some), we do not experience quantum reality, in any way. We experience the world as dual, and even when we cultivate nondual consciousness, we usually oscillate between the nondual perspective (in which there is no “we” but only the One experiencing Itself) and the conventional perspective of you, me, the computer. This is a truly fundamental question of contemplative practice, and the Kabbalah addresses it in a very distinctive way. That question is of which aspects of our experience are real and which are not. Most of the world’s contemplative traditions arrive at the same ultimate destination: there is only the One. They may conceive of that One as Being, or as Brahman, or as God, but the endpoint is usually the same: the self as we understand it is an illusion, and forms do not have separate reality. Some systems take the further step of saying that all our experience is basically maya, or illusion. This world, they say, is like a kind of trick, and the enlightened life transcends it and sees the unified truth beneath. Theosophical Kabbalah has a subtly, but vastly, different view. It’s not that the world of duality is false. It is true on a level of perceptual reality — the level most of us spend most of our time inhabiting. Ultimately, it is only a manifestation, but “only” isn’t really the right word. The Zohar explains that the notion of God depends on a manifested world; without the world unfolding as it does, there really is no “God.” There is the Ein Sof, the Infinite. But, the Zohar explains (in the form of some complicated wordplay, which is why I am not quoting it now), God is a concept which depends on the concept of manifestation. As described in “male and female” below, this view is the secret meaning of the union of the male and female principles. The male principle, symbolized by the (phallic) line, is that which divides the unified one (female – circle) into conceptual dyads. Good and evil, dark and light, past and future — these concepts do not really exist in the One, which is always Now, always Here, always God Godding itself. Well, which is right? Is the feminine principle right that everything is One and that it is always Now? Or is the masculine principle right, that there are multiple objects in the universe, across temporal and spatial dimensions? For the Kabbalists, both are right. Ordinary consciousness, in which 1+1 = 2, is right. Mystical consciousness, in which 1+1=1, is right. There is both two and one — this is the higher mystery of union. We may have seemed to have strayed from the sefirot, but not really. The sefirot are the explanation of the world of multiplicity. They are how the One relates to the many, and while Cordovero’s short text above may not be philosophically satisfying in the most rigorous way, it does provide the framework under which the theosophical Kabbalah proceeds. Ten sefirot of no-thing, ten and not nine, ten and not eleven. Understand in wisdom, be wise and understanding. Examine them, explore them. Know, contemplate, and visualize. Establish the matter thoroughly, and restore the Creator to his abode. Their measure is ten, yet infinite. 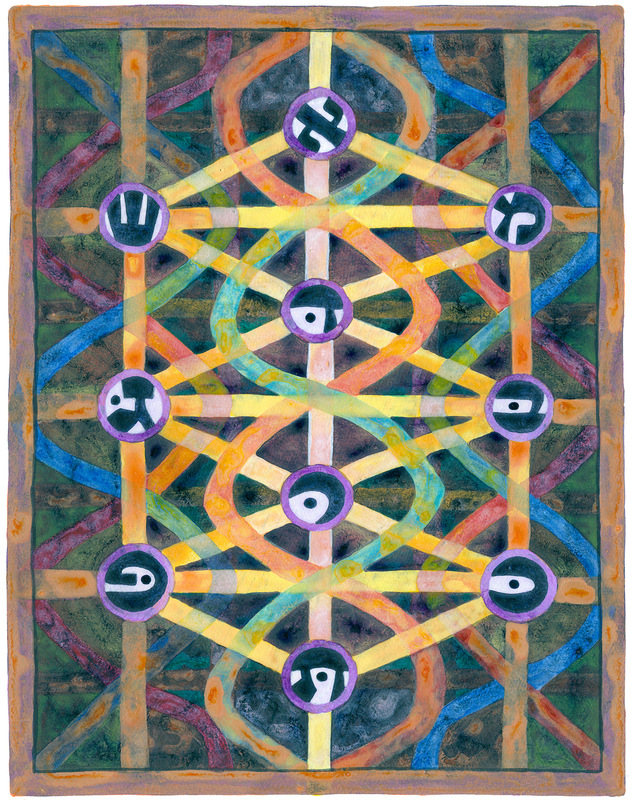 The ten sefirot — the lenses which refract the Light of the Infinite into the colors and shapes of our own experience — are a web of associations, symbolic references, and Divine potency. 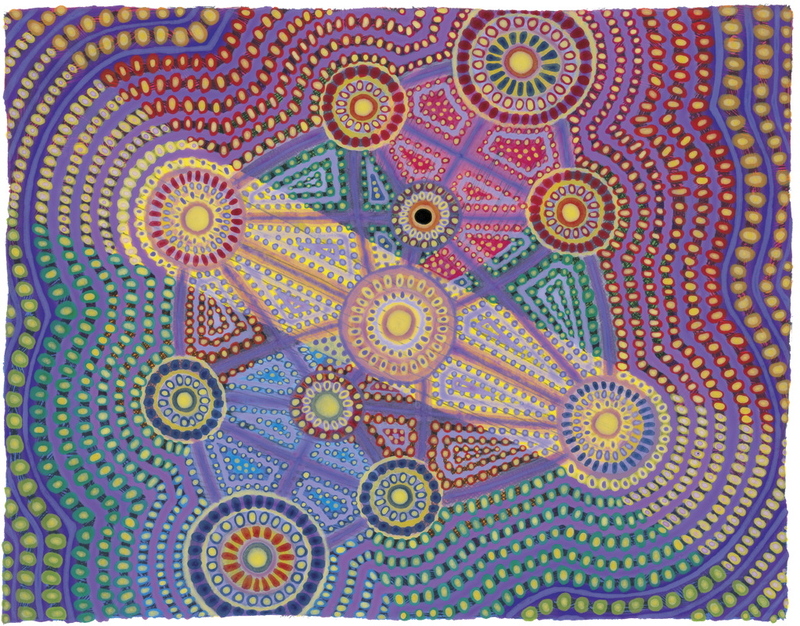 Each is like a node of meaning, bringing together hundreds, if not thousands, of literary, cultural, physical, emotional, historical, theological and magical concepts and, thus, demonstrating the interrelationship of them. When a Kabbalist hears the word “orchard,” or “red,” or “rainbow,” he or she immediately associates it with the corresponding sefirah, and then with the dozens of other concepts which are likewise associated. Learning the sefirot is marinating the mind in a symbolic stew of Divine interrelation, and engenders a uniquely Kabbalistic mode of consciousness. Historically, the concept of the sefirot has evolved over time. The quote above, from the 2nd century Book of Formation (actually, we’re not sure exactly when it is written, but it is certainly among the oldest extant texts of Jewish mysticism), refers to “sefirot,” and is a primary source for later Kabbalists who develop the idea. But in the Sefer Yetzirah, the word seems to denote numbers which, like the letters of the Hebrew alphabet, are tools of creation and the deep structure of the manifest universe. “Sefirot” is etymologically related to the Hebrew word for numbers, and, in a way, it might be useful to just think of them as level one, level two, and so on, since thinking in that way empties them of inaccurate projections and associations. The sefirot are much more than numbers, however. By the twelfth century, they were essentially the emanations of the Divine which mediated, in a way reminiscent of neo-Platonism, between the One and the many. The sefirot are Divine, but are not, in their manifestation, the Divine essence; they are the characteristics of the overflowing of the Infinite. When the Bible speaks of God becoming angry, for example, the Kabbalists understood it to refer not to the Ein Sof — which, like the rationalist-philosophical God concept is beyond all attribution and ascription — but to the emanated world of the sefirot. And yet, text after text reminds us that the sefirot are Divine. Now is a good time to explain a critical feature of the Kabbalah’s view of hierarchy. On the one hand, Kabbalah is thoroughly hierarchical; it is all about layers of reality, and moving from upper to lower and back again. On the other hand, its hierarchy is very different from how most of us conceive hierarchy, in which “upper” is better, or more important, than “lower.” This is not true in the Kabbalistic system. If you look at the sefirotic tree, for example, keter is clearly “higher” than tiferet. But it is not more important. Its role is different; it is more abstract, connected directly to the Infinite light, whereas tiferet synthesizes and balances the wheel of the manifest sefirot. But neither one of these roles is more important, and keter is not more powerful than tiferet, or more preferable. It’s very difficult for Westerners to wrap our minds around this view of hierarchy. Usually, hierarchy means power — which is why so many of us reject hierarchies in favor of more circular, collaborative models of human coexistence. But this either/or view of hierachy, as philosopher Ken Wilber has shown, leads to one of two unfortunate consequences: either an imperial hierarchy which oppresses on the one hand, or a flattened egalitarianism which does not recognize growth and evolution on the other. In the Kabbalah, the “third way” of hierarchy, growth, and evolution without gradations of privilege, quality and power is the way of the sefirot. There is higher and lower, but as you’ll see throughout this portion of the site, to reject the lower in favor of the higher is to critically misunderstand the very purpose of the universe. Nothing less. So far, I have spoken on a mostly cognitive level, but here’s a look on more of a psychological-emotional basis. This is an important point, because while Kabbalah is heady, it is also heartful, embodied, and spiritual. The point is not to flee from one plane of experience to the other. It is to richly experience all four of these “worlds,” and balance among them. So, a different perspective on the sefirot. When you become angry, and then you relax, and then you feel in balance, there are many ways to understand what has happened. Probably, most of us use a rough sort of psychoanalytical language to explain the change in our emotions. Kabbalistically, what has happened is an excess of one sefirotic energy, balanced by another, and brought into some kind of harmony. What exists on the macrocosm — out there on the cosmological scale — also exists on the microcosm, here inside of you. The universe, for the theosophical Kabbalah, is structured holographically; the part reflects the whole in its form and structure, and, indeed, contains the whole. (More on that below.) So, you may think of the sefirot as proceeding from the Divine cosmologically, or as present within you psychologically — even physically. For the Kabbalists, this is no mere coincidence; it is how they interpret humanity being made in the Divine image. In the framework of the sefirot, it is fair to say that the world is made up of oscillations between lovingkindness and judgment, as much as it is comprised of atoms. The philosophical God does not feel, does not change, and does not interact with the world of form. The Kabbalistic Godhead of the sefirot mediates between the unchanging Infinite and the world — and so the sefirot are bearers of feeling, dynamism, and energy. Our emotional prisms through which we experience our lives are reflective of the Divine structure of the universe itself. And by understanding that structure, we can come to experience our emotions, our bodies, our minds, and our true nature more fully. So, let’s explore what these sefirot are.